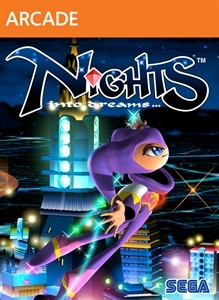 SEGA hopes the reinvention of this popular franchise will thrill both the long-time Sonic fans as well as a new generation of gamers with the exciting speed and action only possible on next-generation platforms. Sonic The Hedgehog for Xbox 360 and PlayStation 3 will be developed under the direction of Yuji Naka, award-winning developer known fo.. The House of the Dead 4 once again will thrill gamers thanks to beautifully rendered gore, time-sensitive gameplay, and a wide variety of branching paths as you explore a post-apocalyptic wasteland. You’ll defy the undead with machine guns in hand, taking out wave after wave of horrific zombies. .. 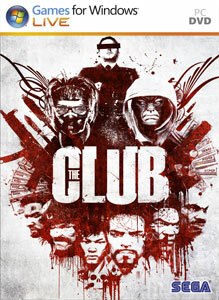 Combine fully-automatic, weapon-equipped vehicles with highly detailed and interactive urban environments and you have Full Auto, the most destructive racing action ever experienced in a video game. 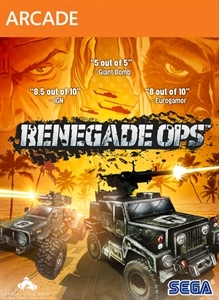 Players can choose from a wide selection of unique vehicle designs and arm them with any combination of machine guns, cannons, and other deadly weapons.. 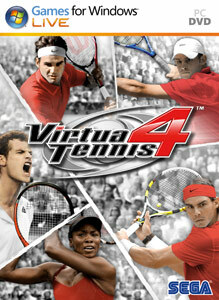 The Virtua Tennis series has been well-received by critics and fans for its “ease of play but difficult to master” gameplay. With Virtua Tennis 3, the series returns with enhanced photo-realistic graphics and advanced player animations that perfectly match the behavior and mannerisms of individual professional athletes. Next-generation systems ..
Set to redefine the rally genre with vibrant next generation graphics, intuitive controls, competitive bumper-to-bumper racing and fully reactive environments. SEGA Rally will once again be leading the rest of the pack with a wonderfully vivacious and realistic graphical world that is every gamers driving fantasy. SEGA Rally offers a vast variet..
Phantasy Star Universe gives players the best of both worlds by offering the depth of single player adventure and the thrill of online cooperative gameplay. Played offline, Phantasy Star Universe joins real-time action gameplay with rich character customization and an enormous solar system to create a fast paced and emotionally engaging RPG experie..
Golden Axe delivers action-RPG thrills as a small band of Riders embark on an epic adventure to recruit allies, expose the enemy and prevent the annihilation of their breed. Delivering an intense and unique combat experience, players charge into battle on the backs of ferocious beasts or take their chances with the enemy while on foot. Fighting ski.. The Golden Compass is a video game adaptation of the 2007 movie of the first book in Philip Pullman/'/s His Dark Materials trilogy, set in a parallel world where giant armored bears rule a kingdom. The book they are based on was called Northern Lights in the UK. Discover the magical and mysterious world of The Golden Compass™, based on the Phi..
Phantasy Star Universe: Ambition of the Illuminus is the expansion pack for Phantasy Star Universe. In addition to new enemies, weapons, levels, and cities, there will be more options available to individualize and customize further the look of player avatars. Ambition of the Illuminus continues the Phantasy Star Universe story online as the player..
SEGA/'/s fantasy adventure of blades and magic returns with this re-incarnation of the Golden Axe franchise. Golden Axe: Beast Rider delivers action-RPG thrills as a small band of Riders embark on an epic adventure to recruit allies, expose the enemy and prevent the annihilation of their breed. 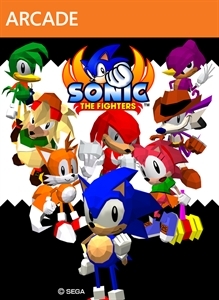 Delivering an intense and unique combat experience, pl..
Everyone/'/s favorite hedgehog breaks new ground yet maintains his roots in a game that combines amazing next gen capabilities with classic Sonic 2D gameplay! 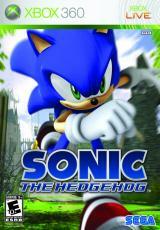 Developed by renowned studio Sonic Team, Sonic Unleashed utilizes the powerful "Hedgehog Engine" to mesh seamless 3D and classic 2D camera transitions, whilst delivering a rich and ..
Fueled with fury, he Incredible Hulk features key moments from the film, as well as additional plotlines and characters from the character/'/s rich comic-book universe. Players smash through New York City, battling gigantic enemies amidst soaring skyscrapers in a massive open world. Players can demolish anything in their path and also use it as a w..
Sonic/'/s Ultimate Genesis Collection (Sega Megadrive Ultimate Collection [PAL]) features over 40 titles from the SEGA Genesis era. 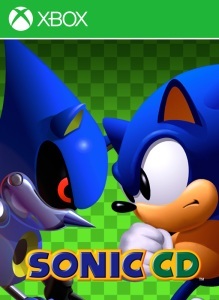 [b]Some Games Include[/b] [li] Sonic The Hedehog [li] Golden Axe [li] Shinobi [li] Ecco The Dolphin [li] Altered Beast + more. [b]Related[/b]: [url=http://www.360-hq.com/x.. Experience the mayhem and action of OutRun Online Arcade as you test your time, speed, and handling ability, bringing your next-gen skills online with this coin-op classic. Feel the kick as you put your foot to the floor in one of 10 high-performance Ferraris racing your way across the U.S. with an open top and a girl by your side. Winding..
Sonic and Tails are back for another adventure as they again battle the evil Dr. Eggman (AKA Dr. Robotnik), who is desperately trying to collect all the Chaos Emeralds in order to rebuild his Death Egg. Our heroes must find the Chaos Emeralds before Dr. Eggman does, but winning the race won’t be easy – a new adversary, Knuckles the Echidna,.. The Gunstar 9 planet was peaceful for many years until the vicious dictator, Colonel Red, kidnapped the Gunstar twins/'/ older brother and used mind control to make him his slave. 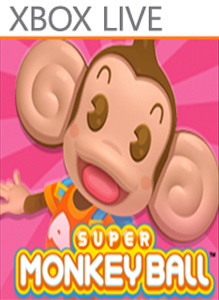 You/'/ll face many different enemies and bosses as you battle to stop the dictator from unleashing “Golden Silver the Destructor” with apocalyptic consequences! This game.. In Comix Zone™, Sketch Turner is an artist in New York City. One day Sketch is drawing, and a huge thunderstorm threatens the city. A bolt of lightning hits Sketch/'/s image, and brings it to life. That image is Mortus, a megalomaniac mutant who wants to become real and to rule the earth. Mortus magically transports Sketch into the pages of his com.. Hailed as one of the greatest games of all time by fans and media alike, the role-playing game Phantasy Star II™ features an epic storyline and turn-based battles. Play as Rolf, Nei, Rudo, or several other characters as you navigate through the Algol Star System battling the evil Dark Force. Build your characters, select the right weapons and armo.. Picking up where Sonic the Hedgehog 3 left off, players can now play as Knuckles for the first time. In addition, if players already have Sonic the Hedgehog 3 or Sonic 2 in their library, they will be able to access the lock-on bonus content for each game for the very first time since the days of the SEGA GENESIS! This allows for gamers to play Son.. Developed by Next Level Games, Captain America: Super Soldier is a third person action adventure set during World War II. Written by renowned Marvel comic writer Christos Gage, Captain America: Super Soldier combines dynamic acrobatic platforming with a fast and fluid melee combat system. The game follows an engaging storyline set wi..
Sonic the Hedgehog 4: Episode 1 for Windows Phone..
Afterburner Climax is set to feature some fast-paced arcade flying action, offering a branching storyline set over 20 stages. Catering for all skill levels, After Burner Climax will have you taking down a plethora of enemy AI whilst giving you the ability to activate the Climax mode. A mode which slows proceedings down temporarily, making for easie..
SEGA/'/s bringing Sonic the Hedgehog back to his side-scrolling roots. 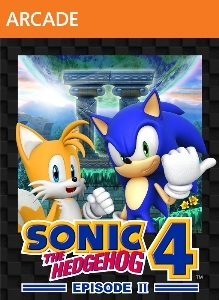 The sequel you/'/ve waited 16 years to see, SONIC THE HEDGEHOG™ 4 Episode I. Get ready for an all new 2D adventure! Sonic the Hedgehog 4: Episode 1 was Codenamed /'/Project Needlemouse/'/. .. The Dreamcast classic finally makes its way to Xbox Live Arcade. Crazy Taxi is a mad race against the clock -- and traffic. As any of four fearless cabbies, players are driven by a single goal: to rack up the mega-bucks in fares and tips before their shift ends. 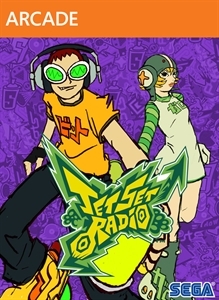 Drivers pick up passengers and take them to their destination by any way possibl..
Tag, grind, and trick to the beat in SEGA’s hit game Jet Set Radio! Fight for control of Tokyo-to, mark your turf with graffiti, tag walls, billboards, and even rival gang members! Perform tricks and flips on magnetically driven in-line skates, but watch out for the local police force!.. Brace yourself for a mighty storm — the legendary pages of the classic Thor comics are coming to life, and it/'/s going to be a sky-rumbling, earth-shaking ride. The storied hammer, Mjolnir, is yours to wield as you become the God of Thunder in this epic new adventure. The power to shift the storm is in your hands and it is up to you to decide how ..
Binary Domain is a "squad-based shooter" by Sega Japan and Yakuza producer Toshihiro Nagoshi which places players in the middle of a fast-paced and intense battle for humanity in robot-invaded 2080 Tokyo. Fighting through the derelict lower levels of the city, players control an international peace-keeping squad that soon starts to questi.. The Dreamcast Collection includes fan favorites Sonic Adventure, Crazy Taxi, SEGA Bass Fishing and Space Channel 5: Part 2. Players will get to enjoy four very different Dreamcast experiences, from hopping behind the steering wheel of Crazy Taxi, to taking things a little slower by luring in their fish before catching them hook, line and sinker wit..
Sega Bass Fishing a fishing simulator game available for download from the XBLA. Explore the exciting sport of bass fishing! Based on the Dreamcast hit, motor out to eight different fishing locations to catch the biggest and baddest bass possible! Choose between fourteen different lures, and compete in four tournaments. Start off as an amate..
Virtua Tennis 4, also know as Power Smash 4 in Japan, is the first tennis game for Xbox 360 to implement Microsoft/'/s Kinect motion sensor for an active tennis experience. Developed by the original Virtua Tennis Team in Japan to take full advantage of Kinect, Virtua Tennis 4 brings players closer to being on the court than ever befo..
Ulala, the stylish heroine, fends off menacing invaders in HD using the gift of dance and a sassy attitude. Hey there, SpaceCats – meet Ulala, the grooviest reporter in the galaxy! She’s got attitude, and she’s got moves. Help her get the scoop on an unidentified Dance Troupe that has captured thousands of people and is forcing them to dance! Wi..
Saturn Action-RPG brawler makes a comeback in HD. 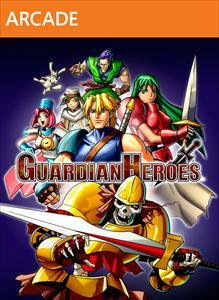 Guardian Heroes features co-op and online play, multiple game modes, optimised graphics, and brand new achievements. [ul][li] [b]Action-RPG Brawling:[/b] Choose one of five heroes to level up and guide along a branching storyline with five different endings[/li] [li] [b]Friends,.. When was the last time you enjoyed getting dragged through the mud? Race through five different types of terrain in more rally-bred vehicles than a baker can shake his dozen at. Including the Ford Focus RS, the classic Lancia Delta Integrale and the ferocious Bowler Nemesis. Play through a slew of modes including Time Trials, Single Races, and Cham..
It’s time to usher the past into the future in this enhanced recreation of Sonic CD! Sonic travels to the distant shores of Never Lake for the once-a-year appearance of Little Planet – a mysterious world where past, present, and future collide through the power of the Time Stones that lie hidden within it. His arch-nemesis, Dr. Eggman, has come for.. The Olympic Games are responsible for some of the most memorable scenes in sporting history. It’s the global stage where dreams are realised, heroes are made, and moments that will be remembered for years happen right before your eyes. Now you too can create your own moments with London 2012™ - The Official Video Game of the Olympic Games. 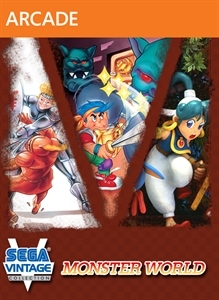 London 2..
Bring peace back to Monster World in these three classic action RPG titles: Wonder Boy in Monster Land, Wonder Boy in Monster World, and for the first time outside of Japan, Monster World IV! The Monster World saga features all new achievements, challenging new trial modes, Xbox LIVE Leaderboards, and recordable and downloadable g.. The Sega Vintage Collection: Alex Kidd & Co. collection includes the Arcade version of Super Hang-on, MasterSystem version of Alex Kidd in Miracle World, and the MegaDrive/Genesis version of Revenge of Shinobi. Now available on Xbox LIVE, Alex Kidd & Company have been updated with all new achievements, challenging new trial modes, and .. 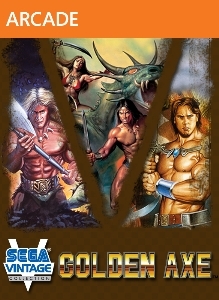 The SEGA Vintage Collection: Golden Axe pack includes Golden Axe I, II and III. Grab your axe, swords, and mythic steeds to fight against evil in all three classic Golden Axe entries! Originally released for the Sega Genesis, the classic fantasy brawler series has now been updated for release on Xbox LIVE Arcade! Earn all new achievements, take ..
You/'/re an angry rabbit with a thirst for vengeance, a super sawing jetpack driller and some seriously badass weapons. 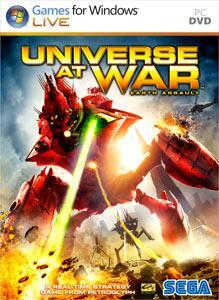 Explore, jump, shoot, loot, upgrade, drill and destroy Hell/'/s monsters. ALL OF THEM. Unleash the wrath of the dead rabbit in 10 huge levels packed with hidden areas, side quests and cursed souls to harvest.Charging through Hell ..
Let/'/s roll! 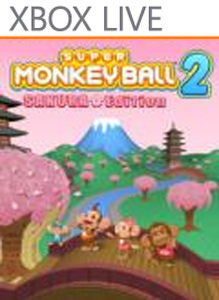 Guide a cute little monkey encased in a transparent ball to victory by tilting and rolling him through a variety of slopes and turns. You must navigate a large variety of obstacle courses to reach goal lines within set time limits. Collect as many bananas as you can along the way and you/'/ll be able to increase your remaining lives.. In the fight between heroes and villains, will you choose to save the world or conquer it? The hunt for the Chaos Emeralds is on and battle lines have been drawn between Hero and Dark. Experience two unique adventures featuring both long-time heroes and new and returning villains as they battle for the fate of the world! 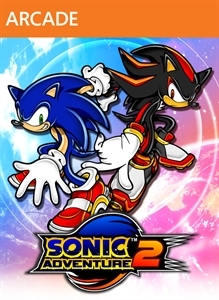 Sonic Adventure™ 2 makes it..
Fighting Vipers is a 3D fighting game featuring a similar style of gameplay to Virtua Fighter available from the Xbox LIVE Arcade for Xbox 360. 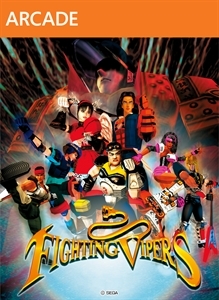 Fight with flair in the return of Fighting Vipers, the classic arcade game from AM2 that was later playable on the Sega Saturn. Choose one of nine zany characters--including Grace the roller blader and..
Virtua Fighter 2 is a fighting game developed by Sega. 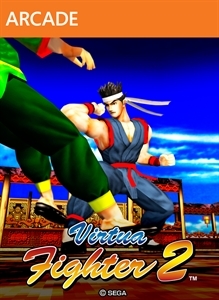 Go back to the roots of 3-D fighting with Virtua Fighter 2, the second title in AM2/'/s flagship fighting franchise. 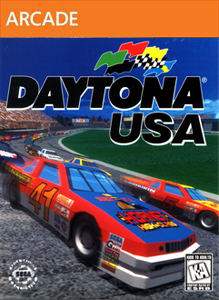 Experience the legendary polygon-based 3-D graphics and fluid fighting mechanics that made the game so influential in the arcades, and later on the Sega Saturn. 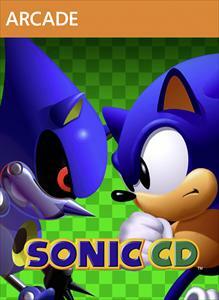 With all-new o..
Join Sonic and friends in battle in this classic arcade game from AM2. Originally on consoles as part of the Sonic Gems collection, Sonic the Fighters is back with an all-new online mode, including both online versus and tournament play. In single player mode, choose from 10 playable characters and fight through 8 stages to stop Dr. Robotnik and Me..
Join aliens ToeJam and Earl in their adventures across space in classic titles ToeJam & Earl™ and ToeJam & Earl in Panic on Funkotron™! 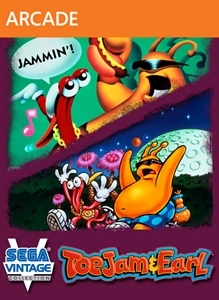 This classic journey of two funky aliens has been updated for release on Xbox LIVE Arcade! Earn all new achievements, complete challenging new game trials, and take on zany Earthlings with a friend in two p..
Virtua Tennis 4 Games for Windows Version. The No.1 selling tennis series is back in time for the Grand Slam season with an all-star line-up of the world/'/s top stars including Nadal, Federer, Murray, Djokovic, Del Potro, Sharapova, Williams and Wozniacki. Developed by the original Virtua Tennis team, Virtua Tennis 4 lets you play with Kinect..
SEGA Mega Drive Ultimate Collection contains over 40 celebrated SEGA classics in one package; making it the largest collection of SEGA first party games ever offered. Featured games include; Sonic the Hedgehog 1, 2 and 3, Columns, Alien Storm, Ecco the Dolphin, Space Harrier, and cult classic, Streets of Rage 1, 2 and 3. The games in the collection..
Vancouver 2010 Games for Windows version..
Alien: Isolation is a new survival horror sci-fi game from Total War developer Creative Assembly. The game will run in 1080p on Xbox One and PlayStation 4. Discover the true meaning of fear in Alien: Isolation, a survival horror set in an atmosphere of constant dread and mortal danger. Fifteen years after the events of Alien™, Ellen Ripley..